Georgann Johnson, best known for her roles on TV and Broadway, died on June 4. She was 91. The actress died in Los Angeles, daughter Carol Prager announced in the obituary section of the Los Angeles Times. Johnson was born on August 15, 1926, in Decorah, Iowa, and worked as a character actress in more than 115 films and TV series including Dr. Quinn, Medicine Woman, Too Close For Comfort and Archie Bunker’s Place. It was in the 1953 Broadway revival of "Room Service" that Johnson met actor and future husband, Stanley Prager. After Prager's death in 1972, she was married to Honorable Jack Tenner, a Superior Court Judge and civil rights activist, until his death in 2008. Other notable credits included Life Sentence (1953) opposite James Dean, Bang the Drum Slowly (1956) opposite Paul Newman and Midnight Cowboy (1969), which won the Oscar for Best Picture. Johnson also appeared in Three's Company as John Ritter's mother in 1983. On daytime soap operas, she found a career resurgence with roles on Another World/Somerset (1970-76) as Ellen Grant, As the World Turns as Jane Spencer, and All My Children as Eugenia Robards. She had previously played Edith Cobb on The Doctors. 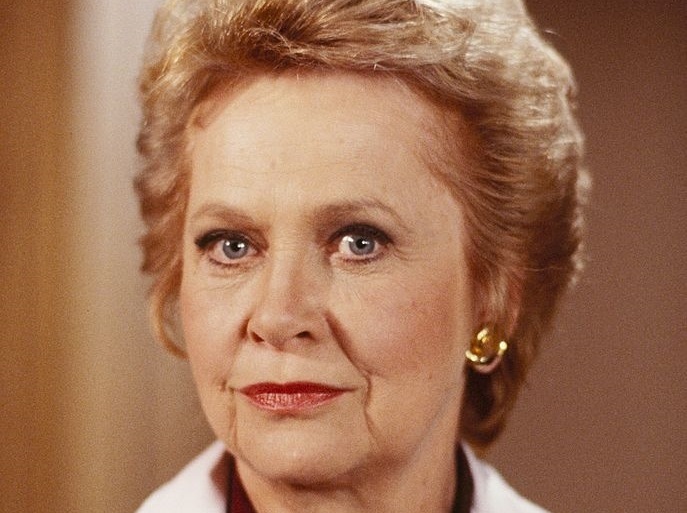 In primetime soaps, she played doctors on both Dallas, Knots Landing and The Colbys (Dr. Waverly). She also starred in Our Family Honor and The Trials of Rosie O'Neill. Johnson is survived by her four daughters — Carol Prager, Annie Prager, Sally Seymour and Molly Boyll — and three grandchildren, Hannah Seymour, Gabriel Seymour, and Caroline Boyll.